This Santa puzzle makes a great gift or a colorful seasonal decoration. With stockings hung by the fireside and eager eyes looking on, Santa takes time out and reviews his list before his next stop. 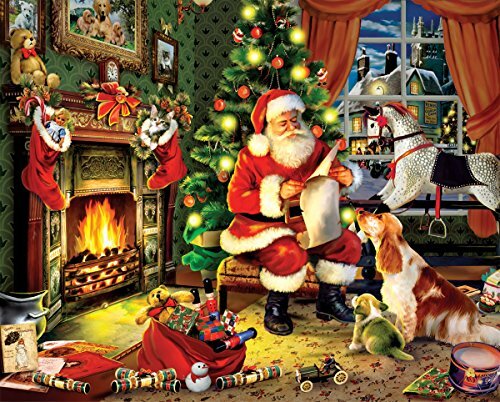 He still has plenty of White Mountain Puzzle gifts in his bag he needs to deliver.This Santa puzzle makes a great gift or a colorful seasonal decoration. Howard Robinson is described as the artistic master of adorable animals, both wild and tame that brim with personality, the kind that makes a person smile.